Do Guinea Pigs Make Great Pets? All this is true because I have one without reading this and they are so cute! I love hanging with them, but when my son is watching television he can’t look away. 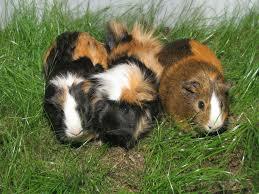 Guinea pigs are amazing pets! Just remember that guinea pigs should not be an impulse buy and that this article alone should not determine wether you will be adopting one of these adorable creatures.